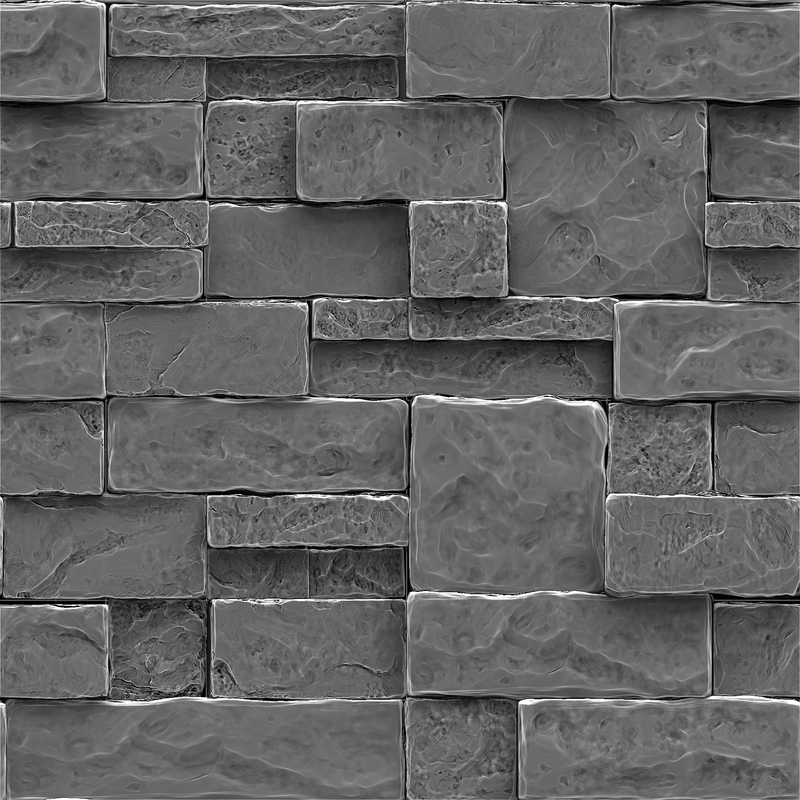 I created this tiling brick material for the exterior of the asylum building for the Buffalo State Asylum: A Reconstruction project. 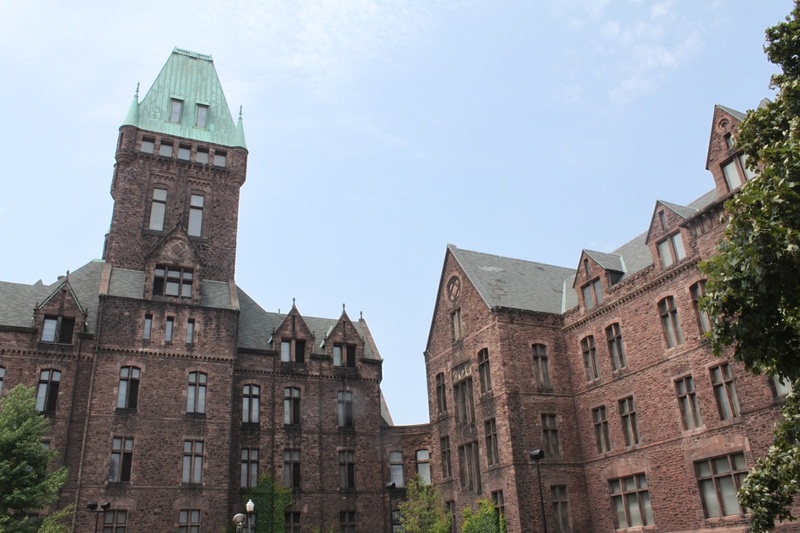 The asylum in this project is based very heavily on the Buffalo State Asylum, presently known as the Richardson Olmsted Complex, in Buffalo, New York. I visited the area to get some firsthand reference of the building and its bricks. The goal was to match the overall feeling of the bricks of the Buffalo State Asylum, as they would have looked in the late 1800s at the time of its original construction. The bricks are now a bit weathered and blackened. Reference of the sandstone brick on the Richardson Olmsted Complex exterior. The forms are sharp and protrude quite a bit. The bricks are staggered and there doesn't seem to be a lot of pattern to the size or arrangement. 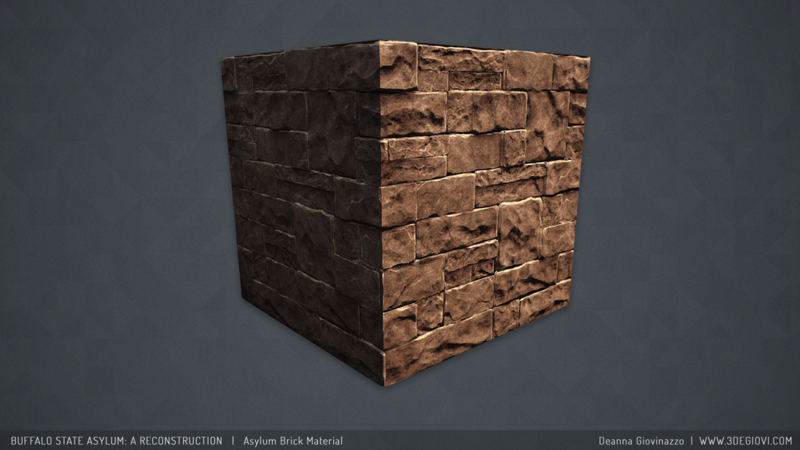 To create this wall in Zbrush, I sculpted 5 different types of bricks and sculpted every side to maximize the number of times I could reuse that brick subtool. I compiled them all using Zbrush's 2.5D canvas. 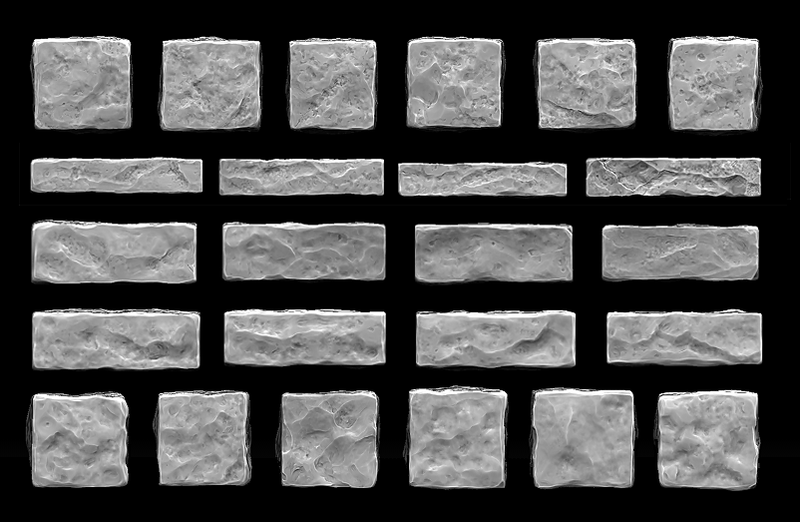 Tiling texture sheet created using Zbrush's 2.5D canvas. White Cavity material used. Bricks pushed in and pulled out to different depths to provide for self-shadowing. 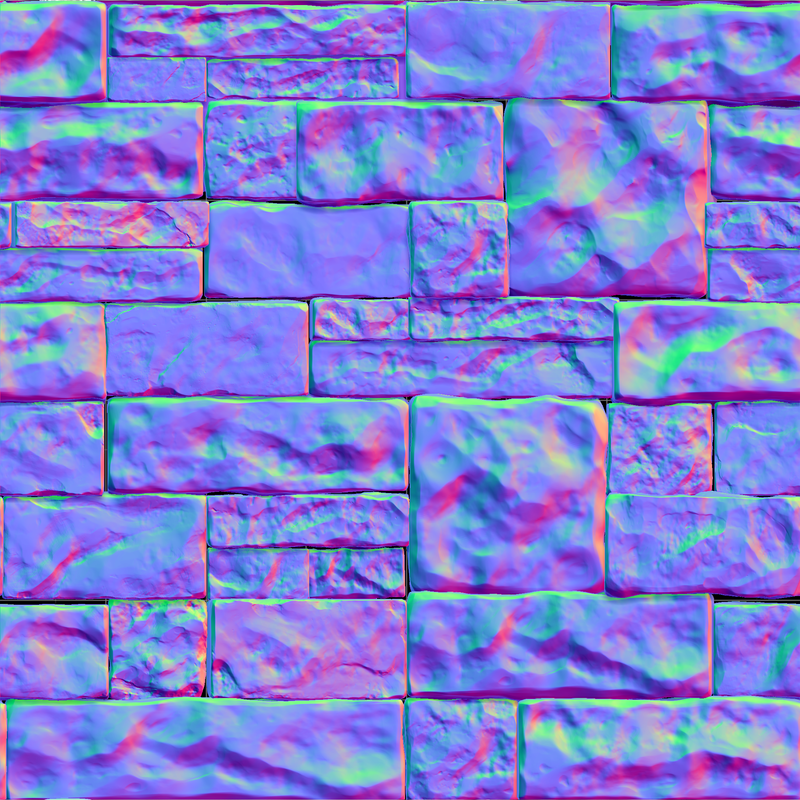 Applied a normal map material in Zbrush to the 2.5D tiling arrangement to render out. 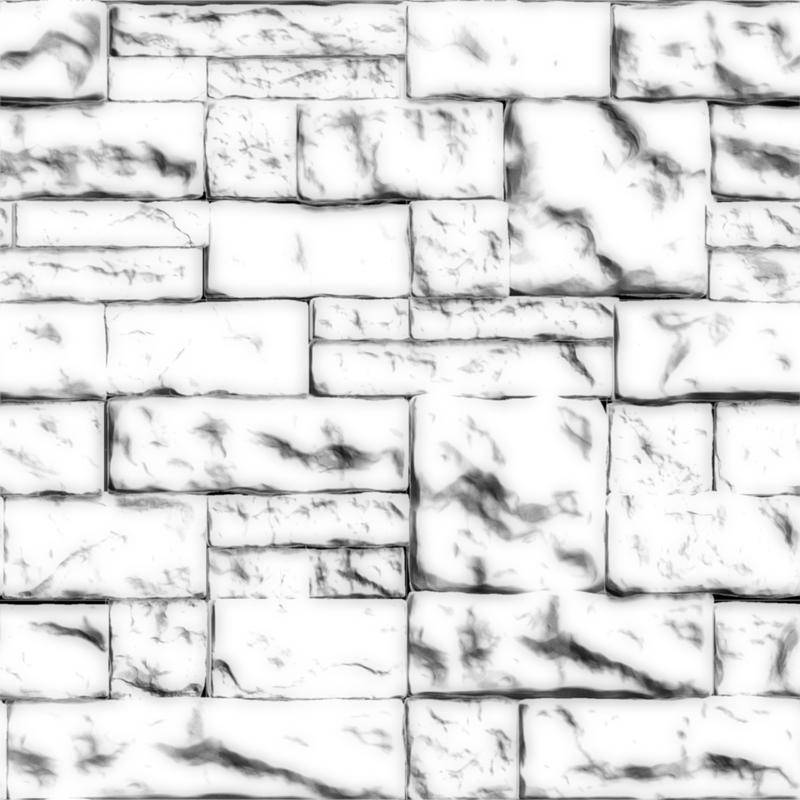 Height map baked from Zbrush, used for a bump offset/parallax in the UDK material editor. AO map, generated from the normal map in Substance Designer. Final version of the diffuse. All maps from the sculpt were brought into Allegorithmic Substance Designer for tweaking and to create exposed parameters for customization. 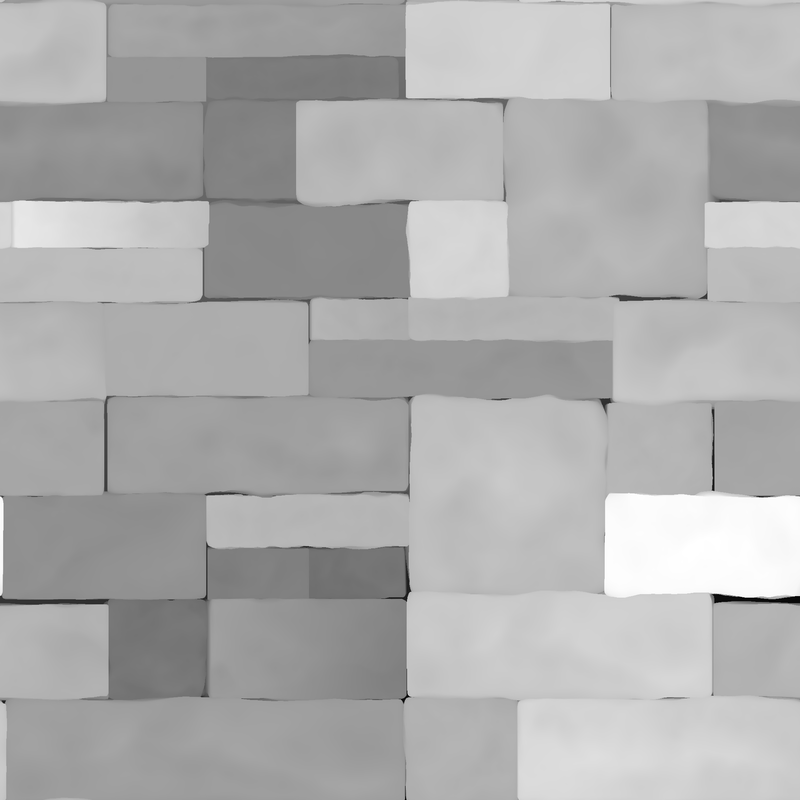 Diffuse was created by multiplying a procedural noise with the grayscale tiling texture created in Zbrush. 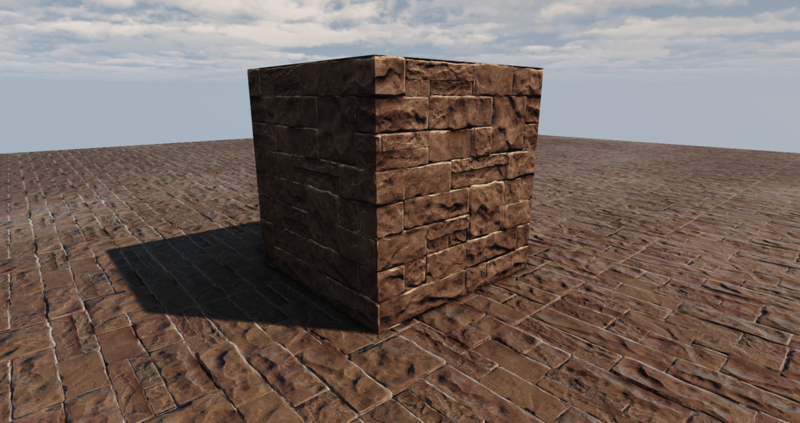 Brick material applied in UDK. 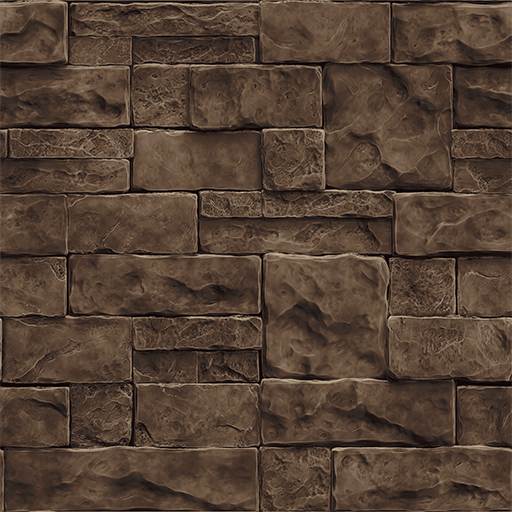 Textures are Substance texture outputs, with exposed parameters for large normal map strength, fine normal map strength, self-shadowing, and AO intensity. 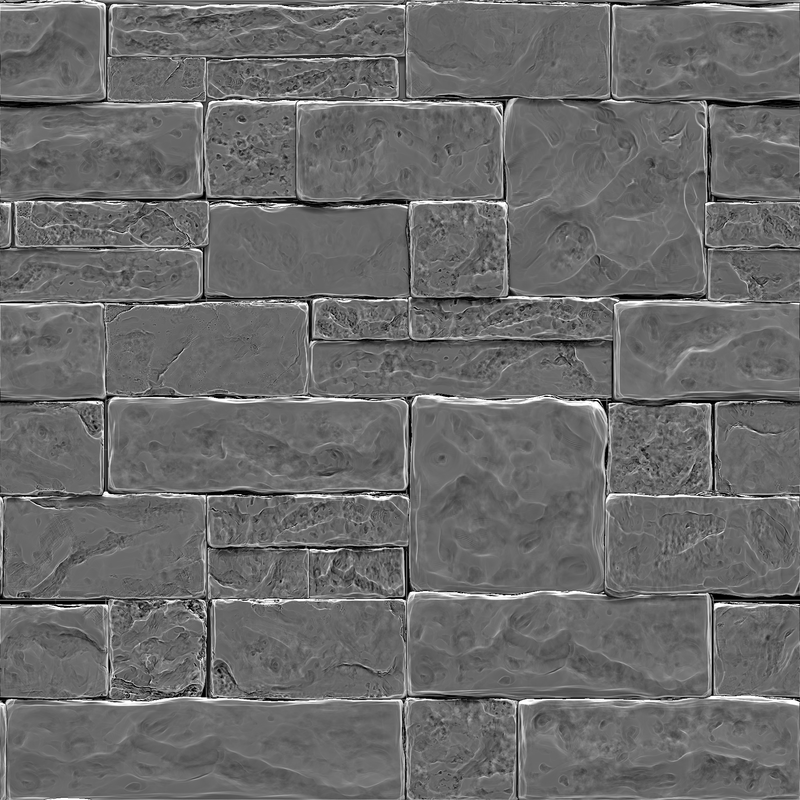 UDK material set up with a noise overlay projected on multiple axes to minimize tiling appearance, as well as gradient mapping for the grayscale diffuse. Material instance set up with color inputs for quick and accessible modification.